This Partnership Agreement is intended to provide a framework for the working relationships between the VET Provider, Teachers and student. It aims to identify and clarify roles of the placement partnership in order to guarantee consistency. SERC requires the Employer to carry out and complete the requirements of the terms stipulated in the FHEPPA. 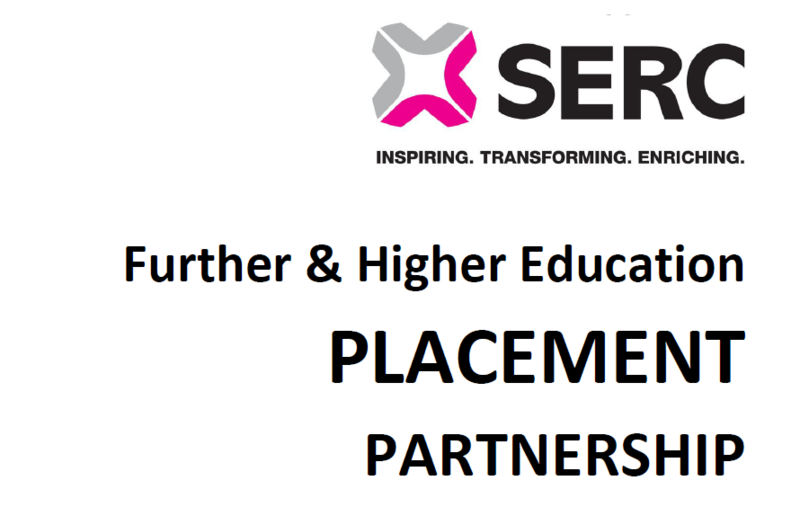 The FHEPPA document collates the placement information to provide the evidence for each work placement and ensures each placement partners (student, Employer, VET Provider) are aware of their responsibilities. • To guarantee student support and ensure that all necessary provisions are made for students with disabilities. 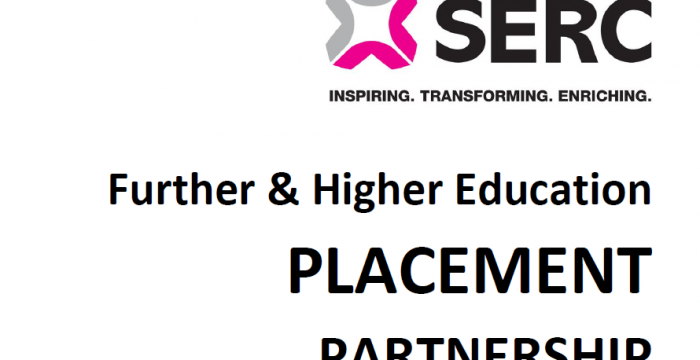 For new Employers the VET Provider Staff must visit the premises and meet relevant personnel to discuss the nature of the placement and complete the “Further & Higher Education Placement Partnership Agreement” (FHEPPA) – instructions included in the document. The VET Provider will allocate a Work Placement Officer or Teacher to visit with the Employer and complete this documentation. This process must be completed before the student commences work placement for insurance and health and safety reasons. This document is an example of a ‘Placement Partnership Agreement’. It has been developed in SERC in line with college policy and procedures, and approved by the College Management Team and Board of Govenors. The content can be edited to suit the needs of VET Providers.